It’s a country that’s overflowing with history – monuments and relics with an allure that cannot be denied. One of the most impressive of ancient civilisations, Egypt has always been an exciting and enticing location for travellers, providing the setting for many a book or movie that’s bursting, so it should come as no surprise that Egypt is set to maintain its position as one of the world’s top travel destinations in 2019. And every visit to Egypt should include a cruise along the famous River Nile. The Nile was the life-force of Ancient Egypt, and today remains one of its most spectacular sites. 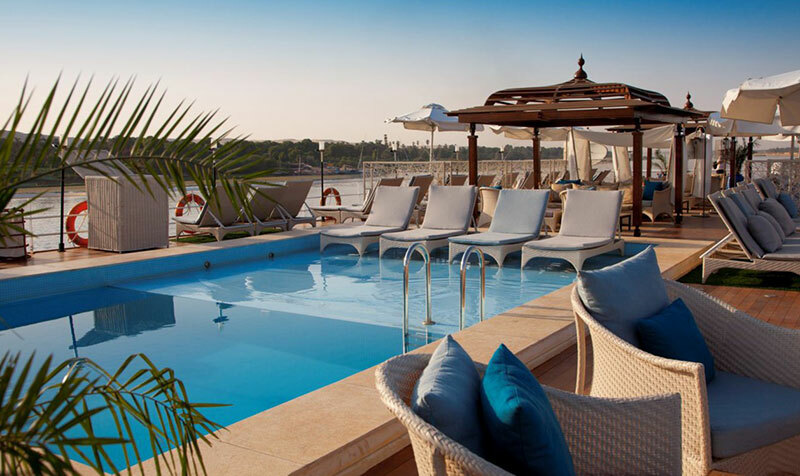 When it comes to selecting a vessel on which to sail the Nile, Sanctuary Retreats offers a level of luxury that’s unparalleled – and they have four different Egyptian river cruise experiences to choose from. Sanctuary Nile Adventurer: Voted as one of National Geographic’s “Journeys of a Lifetime”, this ship is one of the best boutique Nile adventures. 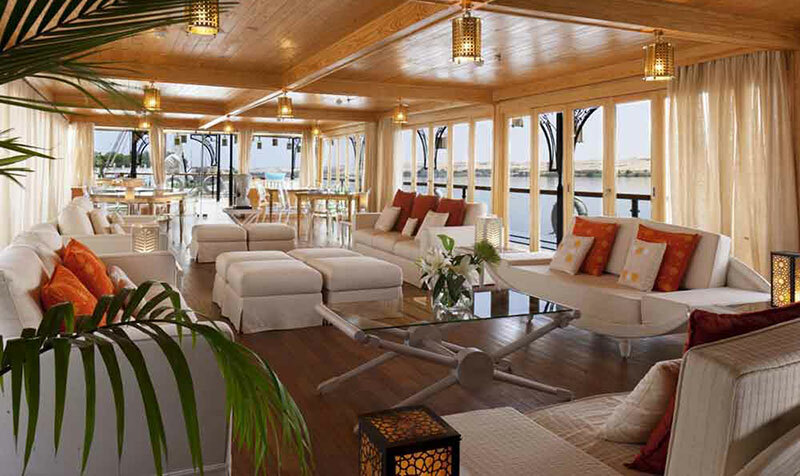 Its 32 cabins have been designed with a chic modern feel, combined with Egyptian flair. Guests will benefit from the first-hand knowledge of an on-board Egyptologist, along with award-winning gourmet cuisine and refined luxury. You can choose from a three, four or ten-night cruise. Sanctuary Sun Boat III: When it comes to style, comfort and all thing luxe, this river yacht has you covered. It’s been voted one of the top 100 most beautiful boats in the world several times, offers a seven or ten-night itinerary led by top Egyptologists and has been designed to reflect the very best of one of the greatest eras – the 20s and 30s. With its exquisite designs, award-winning chef and brilliant views from Cairo to Aswan, this is a cruise to remember. Sanctuary Sun Boat IV: Peaceful in design, with teak flooring, art-deco influence and contemporary style, this boat feels like a little slice of heaven. The sun-deck has an Egyptian marble heated swimming pool where guests can relax with a view, and it is one of the only boats to visit the Temple of Hathor at Denderah (on the four-night itinerary). Those who like a little extra luxury can choose between two Royal and two Presidential suites. Sanctuary Zein Nile Chateau: This bespoke dahabiya (traditional Egyptian boat) is for those who want the best of the best. The private charter vessel has four cabins and two suites, and its Arabian-themed sun deck and dining area offer relaxation and excellence. Everything about this cruise caters to the wants and needs of the individual, from the sites that are visited to the à la carte menu; time aboard this charter is a lesson in true cruise luxury. Each cruise offers something unique and special to its guests, from Egyptologists to secret temples. Whether it’s adventure or relaxation you’re after (or both), Sanctuary Retreats ensure luxury and the trip of a life-time.